Poster’s Note: One of the many under-appreciated aspects of NASA is the extent to which it publishes quality science content for children and Ph.D.’s alike. 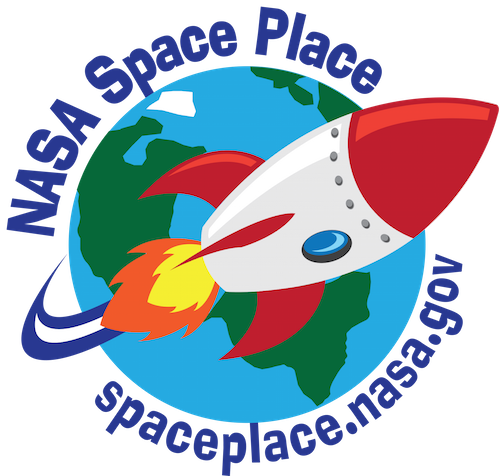 NASA Space Place has been providing general audience articles for quite some time that are freely available for download and republishing. The following three short articles are reproduced in part below with links to the complete articles. Space Place – What Is an Earthquake? An earthquake is an intense shaking of Earth’s surface. The shaking is caused by movements in Earth’s outermost layer. Although the Earth looks like a pretty solid place from the surface, it’s actually extremely active just below the surface. 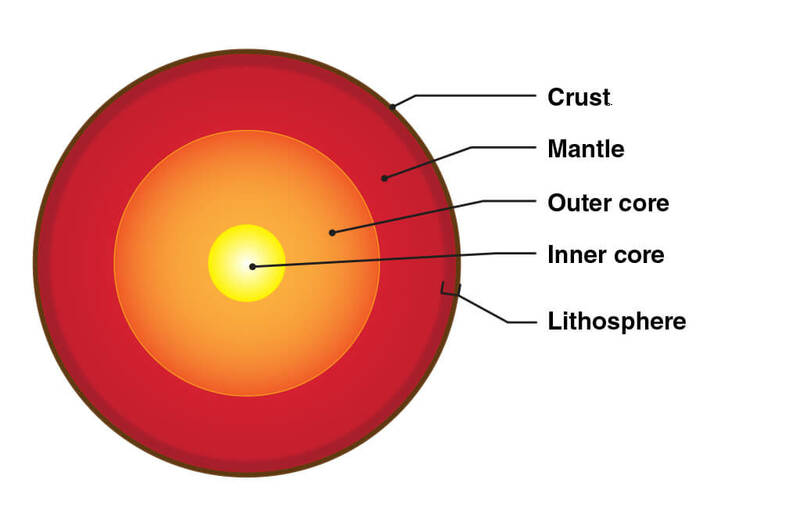 The Earth is made of four basic layers: a solid crust, a hot, nearly solid mantle, a liquid outer core and a solid inner core. Caption: A diagram of Earth’s layers. Earthquakes are caused by shifts in the outer layers of Earth—a region called the lithosphere. The solid crust and top, stiff layer of the mantle make up a region called the lithosphere. The lithosphere isn’t a continuous piece that wraps around the whole Earth like an eggshell. It’s actually made up of giant puzzle pieces called tectonic plates. Tectonic plates are constantly shifting as they drift around on the viscous, or slowly flowing, mantle layer below. Space Place – What Is a Light-Year? 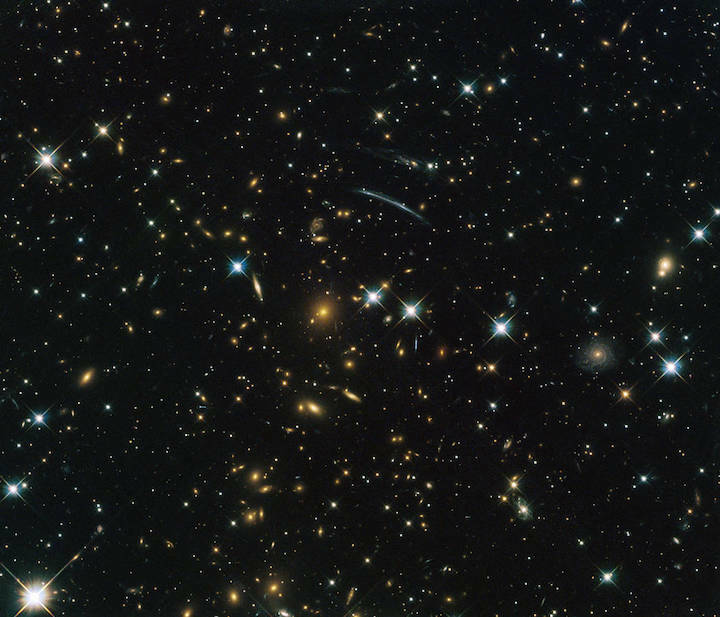 Caption: An image of distant galaxies captured by the NASA/ESA Hubble Space Telescope. Credit: ESA/Hubble & NASA, RELICS; Acknowledgment: D. Coe et al. For most space objects, we use light-years to describe their distance. A light-year is the distance light travels in one Earth year. One light-year is about 6 trillion miles (9 trillion km). That is a 6 with 12 zeros behind it! 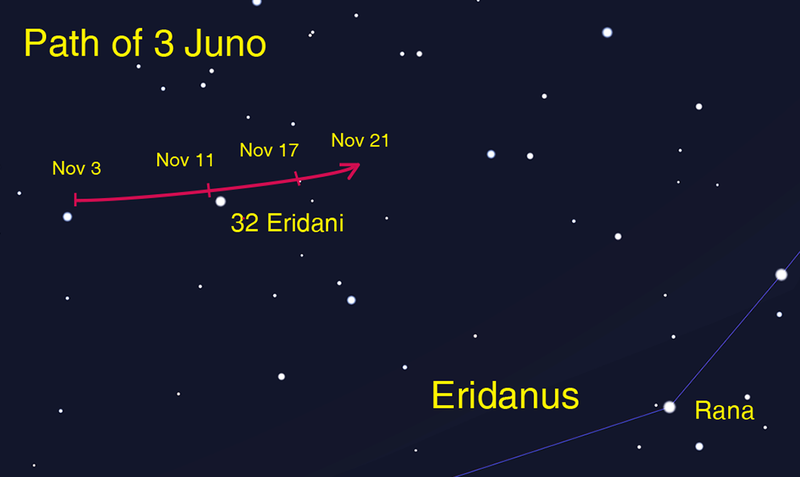 When we use powerful telescopes to look at distant objects in space, we are actually looking back in time. How can this be? Light travels at a speed of 186,000 miles (or 300,000 km) per second. This seems really fast, but objects in space are so far away that it takes a lot of time for their light to reach us. The farther an object is, the farther in the past we see it. Our Sun is the closest star to us. It is about 93 million miles away. So, the Sun’s light takes about 8.3 minutes to reach us. This means that we always see the Sun as it was about 8.3 minutes ago. NASA SciJinks – What’s A Solstice? Astronomy has been important to people for thousands of years. The ancient construction known as Stonehenge in England may have been designed, among other purposes, to pay special honor to the solstices and equinoxes. These are the times and locations during Earth’s journey around the Sun that we humans have long used to mark our seasons. Caption: Here is a guess at how Stonehenge might have looked about 2400 BC. At dawn on the Summer Solstice, the rays of the Sun would have shone straight through what is called the “slaughter stones” to exactly strike the “altar stone” in the center. Poster’s Note: One of the many under-appreciated aspects of NASA is the extent to which it publishes quality science content for children and Ph.D.’s alike. NASA Space Place has been providing general audience articles for quite some time that are freely available for download and republishing. Your tax dollars help promote science! The following article was provided for reprinting in February, 2016. When you think about the new stars forming in the Milky Way, you probably think of the giant star-forming regions like the Orion Nebula, containing thousands of new stars with light so bright it’s visible to the naked eye. At over 400 parsecs (1,300 light years) distant, it’s one of the most spectacular sights in the night sky, and the vast majority of the light from galaxies originates from nebulae like this one. But its great luminosity and relative proximity makes it easy to overlook the fact that there are a slew of much closer star-forming regions than the Orion Nebula; they’re just much, much fainter. If you get a collapsing molecular cloud many hundreds of thousands (or more) times the mass of our sun, you’ll get a nebula like Orion. But if your cloud is only a few thousand times the sun’s mass, it’s going to be much fainter. In most instances, the clumps of matter within will grow slowly, the neutral matter will block more light than it reflects or emits, and only a tiny fraction of the stars that form—the most massive, brightest ones—will be visible at all. Between just 400 and 500 light years away are the closest such regions to Earth: the molecular clouds in the constellations of Chamaeleon and Corona Australis. Along with the Lupus molecular clouds (about 600 light years distant), these dark, light-blocking patches are virtually unknown to most sky watchers in the northern hemisphere, as they’re all southern hemisphere objects. In visible light, these clouds appear predominantly as dark patches, obscuring and reddening the light of background stars. In the infrared, though, the gas glows brilliantly as it forms new stars inside. Combined near-infrared and visible light observations, such as those taken by the Hubble Space Telescope, can reveal the structure of the clouds as well as the young stars inside. In the Chameleon cloud, for example, there are between 200 and 300 new stars, including over 100 X-ray sources (between the Chamaeleon I and II clouds), approximately 50 T-Tauri stars and just a couple of massive, B-class stars. There’s a third dark, molecular cloud (Chamaeleon III) that has not yet formed any stars at all. While the majority of new stars form in large molecular clouds, the closest new stars form in much smaller, more abundant ones. As we reach out to the most distant quasars and galaxies in the universe, remember that there are still star-forming mysteries to be solved right here in our own backyard. Caption: This striking new image, captured by the NASA/ESA Hubble Space Telescope, reveals a star in the process of forming within the Chamaeleon cloud. This young star is throwing off narrow streams of gas from its poles — creating this ethereal object known as HH 909A. These speedy outflows collide with the slower surrounding gas, lighting up the region. When new stars form, they gather material hungrily from the space around them. A young star will continue to feed its huge appetite until it becomes massive enough to trigger nuclear fusion reactions in its core, which light the star up brightly. Before this happens, new stars undergo a phase during which they violently throw bursts of material out into space. This material is ejected as narrow jets that streak away into space at breakneck speeds of hundreds of kilometres per second, colliding with nearby gas and dust and lighting up the region. The resulting narrow, patchy regions of faintly glowing nebulosity are known as Herbig-Haro objects. They are very short-lived structures, and can be seen to visibly change and evolve over a matter of years (heic1113) — just the blink of an eye on astronomical timescales. These structures are very common within star-forming regions like the Orion Nebula, or the Chameleon I molecular cloud — home to the subject of this image. The Chameleon cloud is located in the southern constellation of Chameleon, just over 500 light-years from Earth. Astronomers have found numerous Herbig-Haro objects embedded in this stellar nursery, most of them emanating from stars with masses similar to that of the Sun. A few are thought to be tied to less massive objects such as brown dwarfs, which are “failed” stars that did not hit the critical mass to spark reactions in their centres. A version of this image was entered into the Hubble’s Hidden Treasures image processing competition by contestant Judy Schmidt. NASA and ESA Hubble Space Telescope. Acknowledgements: Kevin Luhman (Pennsylvania State University), and Judy Schmidt, of the Chamaeleon cloud and a newly-forming star within it—HH 909A—emitting narrow streams of gas from its poles.